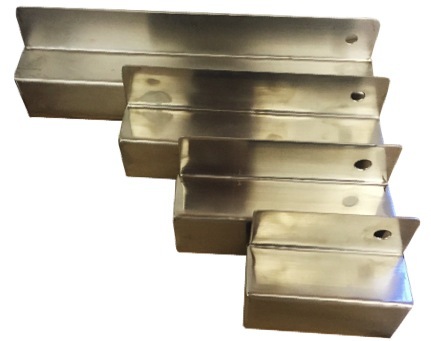 Our stainless steel coating troughs are precision manufactured locally featuring a deep well to allow the emulsion to sit safely inside the coating trough. They also sit evenly on a flat surface without the emulsion spilling over. They coat screens evenly and uniformly. They are designed for easy and comfortable handling while providing a smooth layer of emulsion on your screen and are calibrated to give you a perfect coating of emulsion every time. Available in 5, 10, 15, 20, 25, 30, 35, 40 and 50cm.